KOKOMO, Ind. 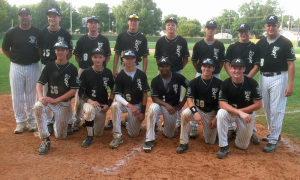 – The Kokomo American Legion Post 6 junior baseball team recently captured the Kokomo Regional in the Indiana Junior District Tournament at cfd Investments Stadium in Highland Park. The Sixers won in dramatic fashion, winning three straight elimination games in one day to earn the title trophy. 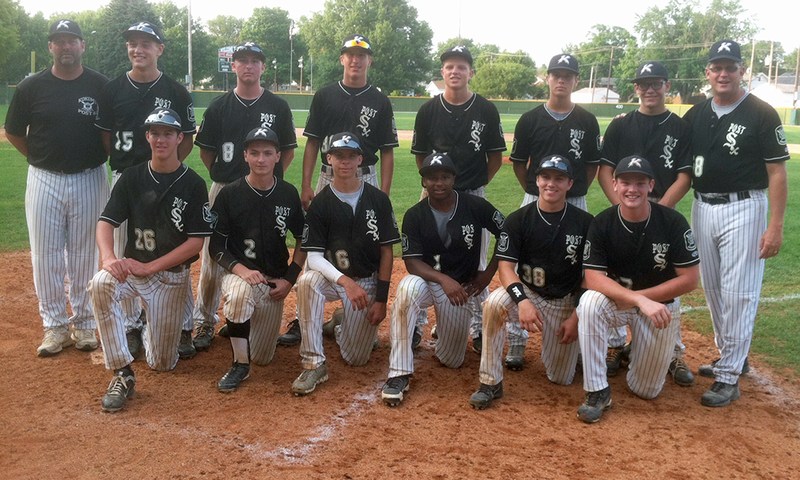 The win sends the squad to the Indiana Junior State Finals, which will be held in Kokomo beginning on July 25. In the championship game, Post 6 defeated Valparaiso 15-1 to claim the title. Quinlan Armstrong pitched a five-inning complete game one-hitter to earn the win while giving up no earned runs. Armstrong also led the hitting attack, ripping a double, two singles and scoring three runs. Ian Parslow had a double and single and scored three times. Keyon Washington had a pair of doubles and three RBIs, Will Harris scored three runs, Jesse Johnson had a pair of RBIs and Colby Malson had two singles. Post 6 advanced to the title game after a 3-2 win over Valparaiso. Brayton Woolley threw a complete game three-hitter to earn the win. Armstrong had a pair of singles and an RBI to lead the offense. Chase Pearce had a double and scored a run while Skyler Ramberger had two singles. The junior Sixers started the tournament on a sour note, losing to Bristol in a 3-2 pitchers duel. Pearce took the hard-luck complete game loss but added a pair of singles on offense. Malson and Parslow added a single each and Harris and Ramberger had RBI sacrifice flies. In game two of the tourney, Post 6 avenged its loss with a 16-9 win over Bristol. Malson earned the win while Parslow picked up a save. Armstrong had a stellar game, ripping two doubles and a single while scoring two runs and accounting for four RBIs. Harris had three hits, including a double and home run, while scoring twice and knocking home four runs. Parslow had two singles, scored twice and had three RBIs. Skyler Ramberger had two RBIs and Pearce had a single, double and two runs scored. The Post 6 junior squad opens state finals play at 7:30 p.m. on July 25 against Rockport at cfd Investments Stadium. Game one features Terre Haute versus Evansville at 5 p.m. The double-elimination, four-team tournament has games at 10 a.m., 12:30 p.m. and 7 p.m. on July 26 with the championship game slated for July 27 at 1 p.m. (second game will follow if necessary).